Was a Great experience and I learned a lot. Fantastic Delivery !! so much better to do in a classroom then self study. Great explenation of areas where fully struggled. Trainer great. Would be helpful to be able to do more practice example. Jackie showed great enthusiasm and made the subject interesting by relating it to her previous roles. Jackie's knowledge is amazing. She is very articulate and clear and the way she delivered the info. Trainer both good. Particularly Jackie who is excellent. Week one was a bit too laid back and week two more intensive, would have preferred a better balance. Week one could be improved with more application and understanding of the reading that has to be done - maybe some slides to support? I personally would have benefited from more reading time. Wish had done more practice papers. First handout booklet not great. If possible, please use more visuals e.g Graphs, charts, videos etc. Some class members were too disruptive and cased issues in learning. Training was fantastic. Thank you! Venue was very well located, great parking. Really enjoyed Penny's style of teaching, a methodical approach to a fairly complex subject. The theory content of the course was a lot to take in but hopefully with perseverance it will start to sink in and you are able to utilise what we have learnt. A confirmation of 'a place' email would have been great a few days earlier to make arrangements but otherwise it was great. I felt that I need a bit more time for both learning and in the exam. 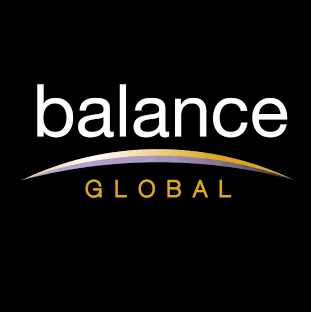 Established in 1994, Balance Global was one of the first 3 training companies to be approved in the UK by the UK Cabinet Office to deliver PRINCE2® Accredited Courses. We have since broadened our portfolio to include MSP® (Managing Successful Programmes) and ITIL® (IT Infrastructure Library) qualification courses in addition to leadership, soft skills and designing bespoke training solutions.